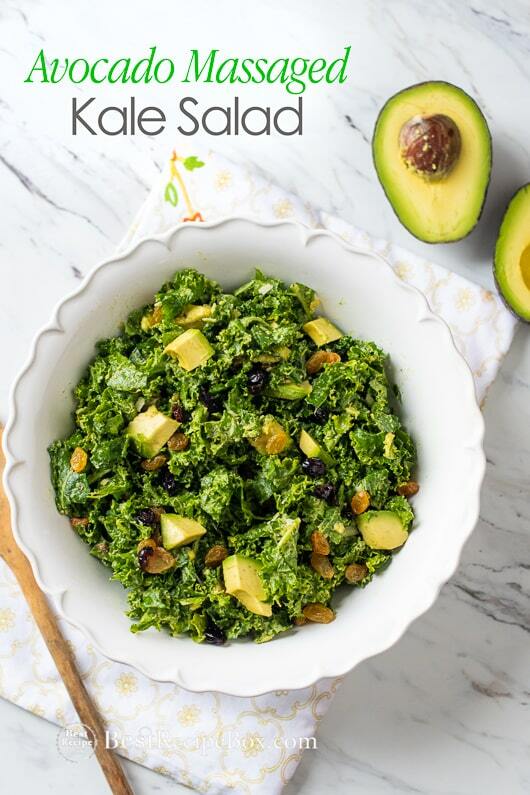 Have you ever had a avocado massaged kale salad before? If not, you’re in for a real treat. Often times kale leaves can be tough and leathery, even if you cut it into small pieces. Massaging avocado into the chopped kale leaves make the kale very tender and delicious. 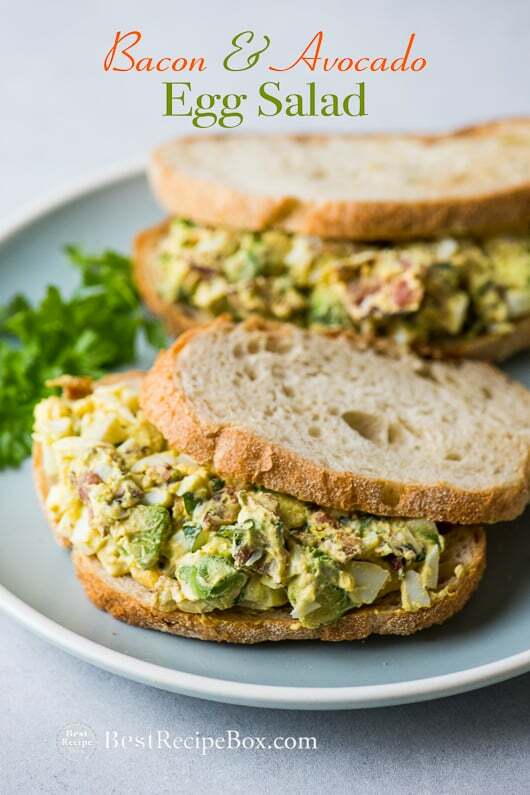 And best of all, it’s loaded with avocado flavor! When we first tried avocado massaged kale salad a few years ago we wondered if it’s anything like olive oil massaged kale salad. Yes, the concept is definitely very similar in that the olive oil or avocado (rich in oil) tenderizes the tougher kale leaves when the oils are massaged into the leaves. What you get is a fantastic bowl of kale leaves that don’t take a ton of energy to chew through. Don’t be hesitant about really working the avocado into the salad. Massage all that avocado goodness into the leaves and you have a spectacular soft and tender kale salad that’s loaded with nutrients. 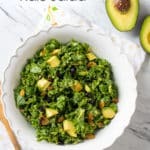 With some bright lemon zest, lemon juice and what ever else you want to add, this kale salad massaged with avocados will definitely be a rotating favorite on your list! 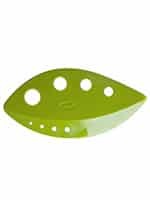 OXO Avocado Slicer – No more avocado hand injuries! 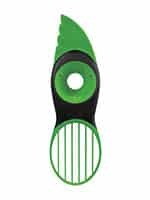 Split, pit and slice all with this one handy dandy tool. 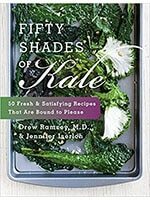 Fifty Shades of Kale by Drew Ramsey M.D. and Jennifer Iserloh – Unleash your kitchen passion with this Kale lover’s cookbook. Succumb to the charms of cooking with kale. Don't be hesitant about really working the avocado into the salad. 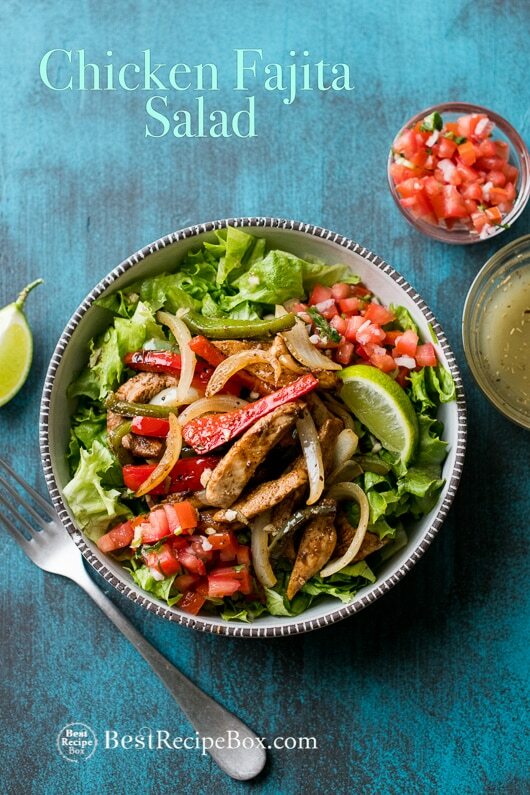 Massage all that avocado goodness into the leaves and you have a spectacular soft and tender kale salad that's loaded with nutrients. Eat this salad within an hour or else the avocado can turn brown. 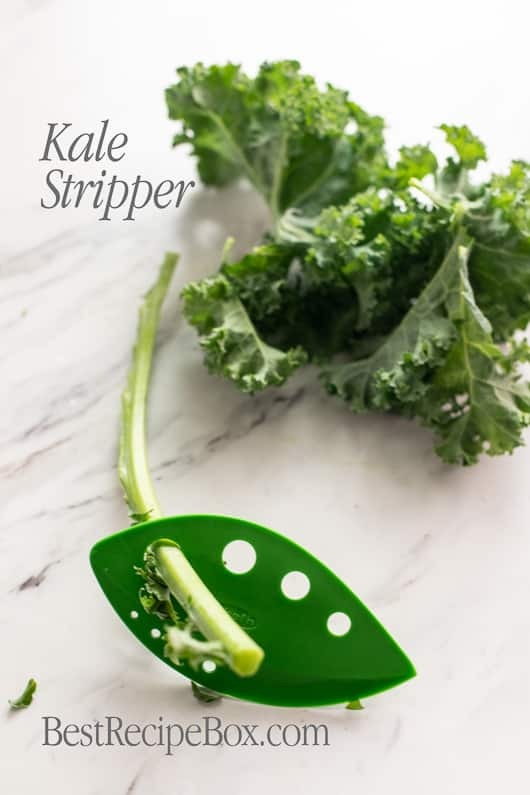 Cut the kale leaves into thin strips. 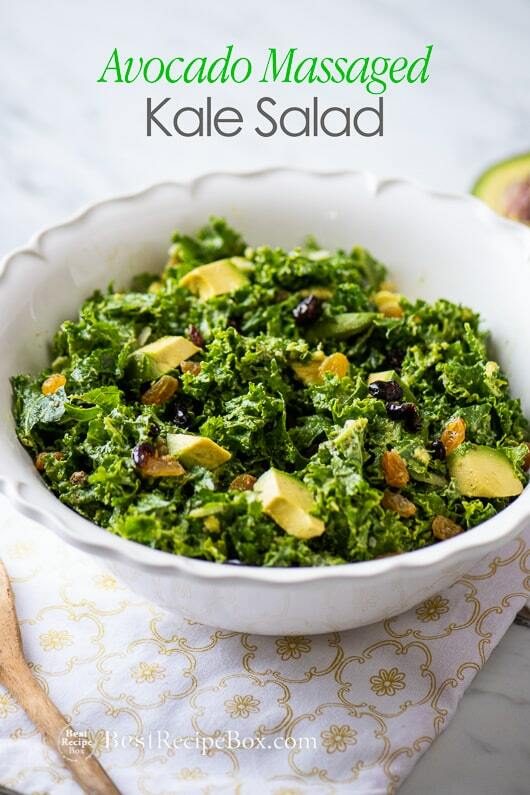 In a large bowl, combine the kale and the mashed avocado. 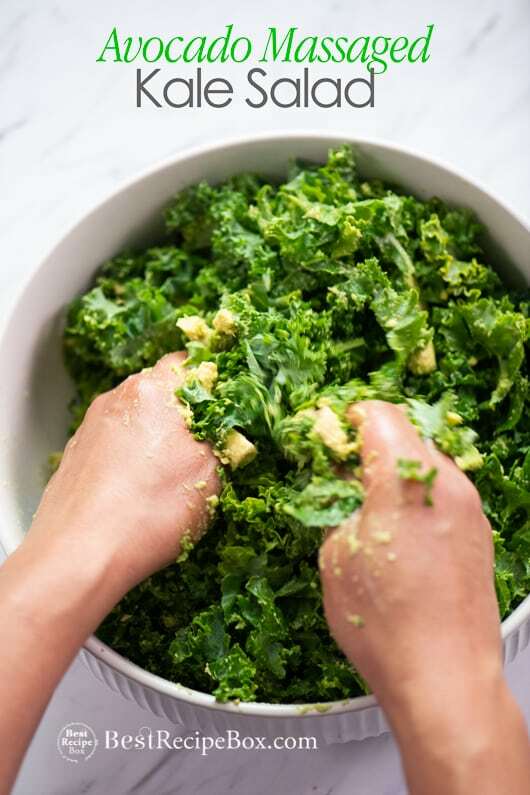 Gently “massage” one mashed avocado into the kale leaves until they become soft and tender. Add lemon zest and 1 tablespoon of lemon juice. Toss lightly. Season to taste with salt and pepper. Add additional lemon juice, if desired. Just before serving, add the cheese, chopped avocado, and the optional nuts and dried fruit.